Durian season has begun, and it’s time to get your hands on the prized picks. We’ve rounded up a few of our favourite haunts for these creamy, pungent and delicious fruits. Crowds at the makeshift stall attest to The Durian Tree’s ethical business and reasonable prices. 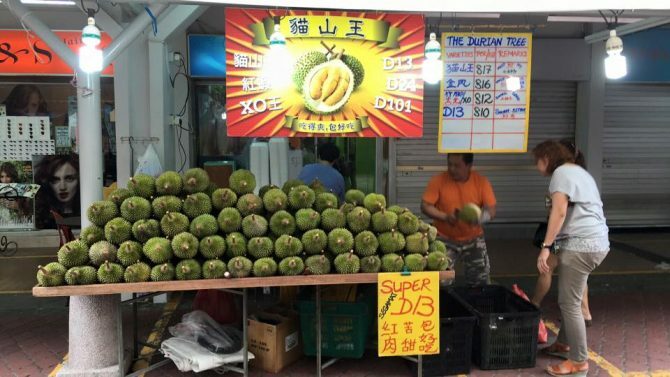 Durian lovers can expect a good variety of durians including Green Bamboo, Mao Shan Wang and a special cultivar called S17, which has thick and creamy flesh.